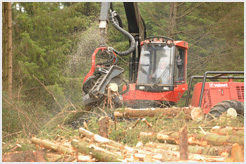 Our subsidiary Company McKeever Forestry has its own dedicated harvesting machinery, producing timber specifically for the needs of our sawmill, giving us the flexibility to meet customer demands. 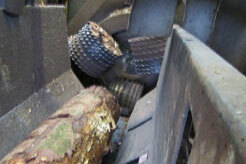 We harvest softwood logs of which the principal species is Spruce. 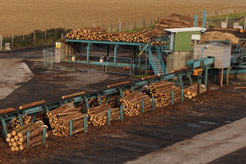 Logs are graded by a four way scanner and sorted according to diameter and length before being processed in the sawmill. Bark is stripped from the logs by the debarker before being processed by the sawmill. 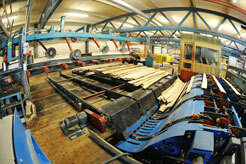 Logs are sawn into various predetermined sizes using a combination of highly automated sawmill equipment. 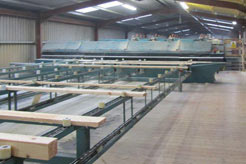 Sawn timber is sorted by electronic measuring equipment according to dimensions and built into finished packs. 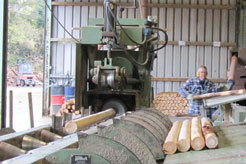 Smaller diameter logs are processed in our specialist machine rounding department. 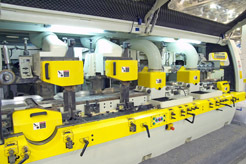 Sawn timber produced by our sawmill is further processed in our machining department to produce special finishes such as decking. Finished products are pressure treated with Osmose Naturewood treatment solution so as to give timber a longer life span for external use. 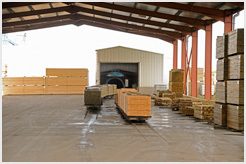 Treating timber gives protection against the threat of decay and insect attack.